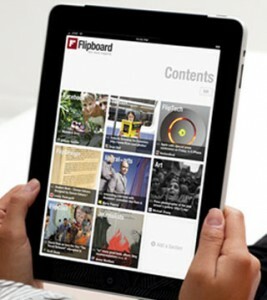 Flipboard is popular app that allows you to customize your RSS feed service on your mobile device. It also connects to social networks like Instagram, Facebook and Twitter, so you can access all of the latest news and social media updates through one simple application. Flipboard compiles all of your news, stories and social media content into a magazine-like format complete with colorful large images and neatly formatted text. You can flip through featured stories on the app or create your very own feed. It’s considered one of the best RSS feed services out there because of its simplicity and beautiful display of content. At first, the app was only available for iOS, but new versions of the app are available for both Android smartphones and tablets. While the developers never created a version of the app for the PC, there is a workaround that will allow you to use Flipboard on your desktop or laptop PC. The easiest way to download and install Flipboard onto your PC is through BlueStacks. Bluestacks is, more or less, an Android emulator that allows you to run Android apps on your computer. When it was first released, Bluestacks had many issues as far as performance was concerned. However, new versions of the program have improved greatly in both performance and compatibility. Follow the steps below to install Flipboard on your PC using Bluestacks. You can download the latest version of Bluestacks here. Click the “Download App Player” button on the left side of the screen. Once you have downloaded Bluestacks, you will need to select which store you want to buy and install apps from. The Google Play store is the simplest and easiest way to install the app. Find the Flipboard app on the Google Play store. If you do not have a Google account, you will need to create one before you can proceed. If you do have an account, sign in. That’s it! Once you’ve installed the app, you can start using it right away. The app should work just as flawlessly as it would on your mobile device. You can choose to either create a new account, or sync with your current account on your mobile devices. In addition to the app, you also have the option of creating and editing your own magazines using the Flipboard Web Tools. To use the web tools, you’ll need to download and install a browser extension. From here, you can save and share your favorite news stories, articles and other web content for easy viewing and sharing. You can even browse through magazines created by other users. The web tools do not provide the same functionality as the app, so you’ll still need to run Bluestacks to take advantage of everything the app has to offer. However, the web tools are a nice way to save articles you enjoy and create your own online magazines.